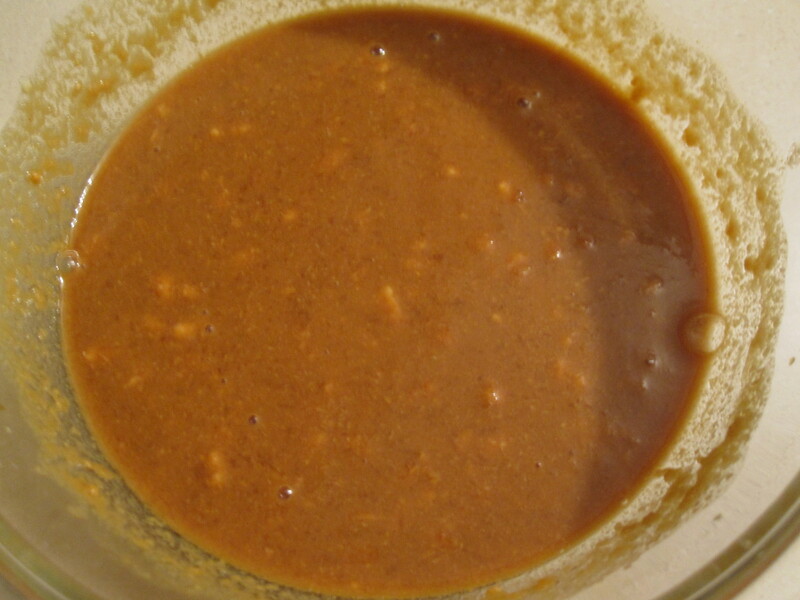 First, the peanut sauce. 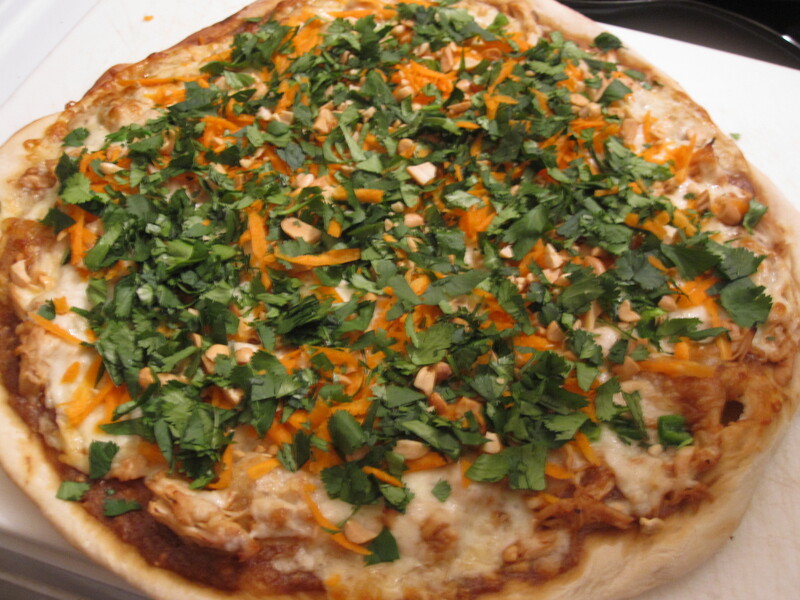 If you compare this pizza to a more traditional red sauce and cheese pizza, this is the red sauce. 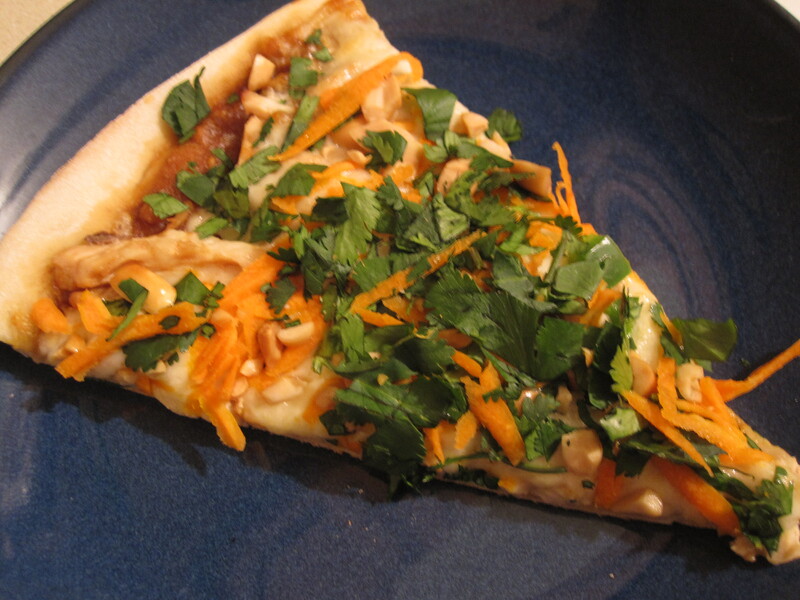 This is going to be the base of the pizza and give it great flavor. 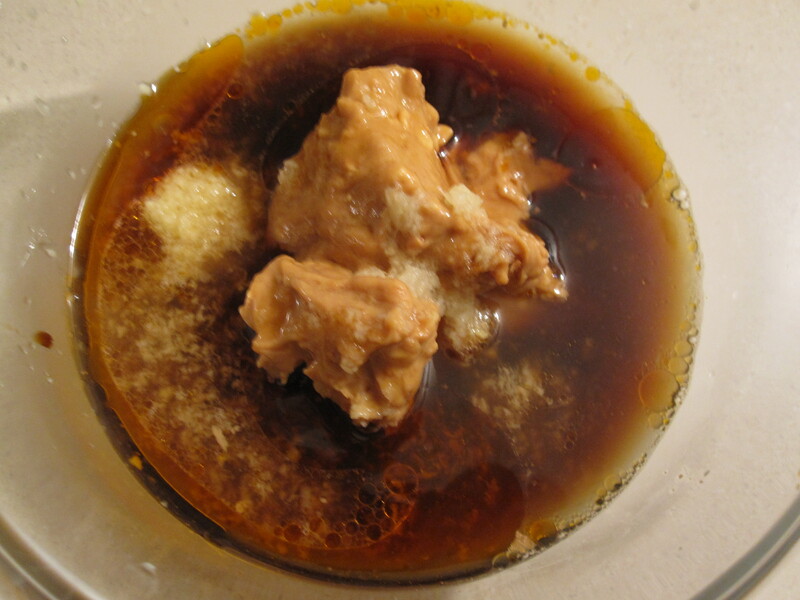 The sauce is a combination of peanut butter, brewed tea, rice vinegar, soy sauce, chili oil, grated ginger and honey. 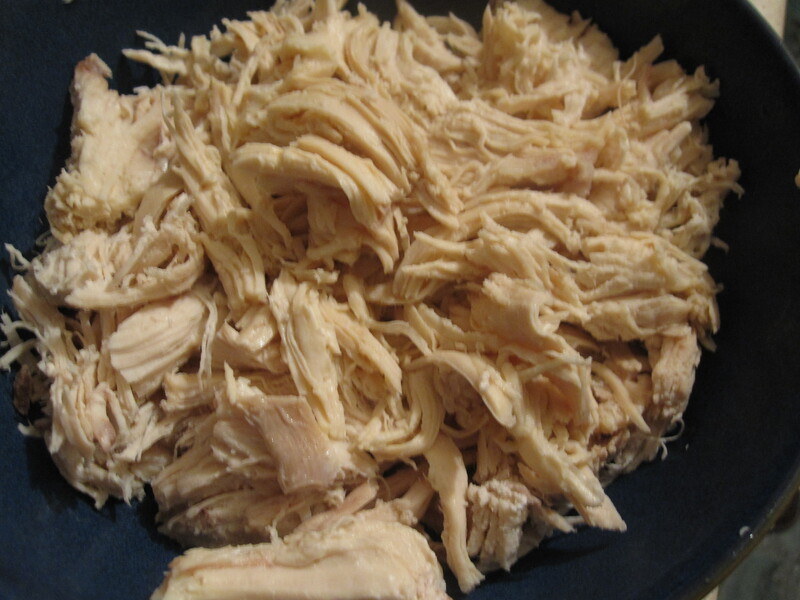 For the chicken, we boiled two breasts and shredded them. 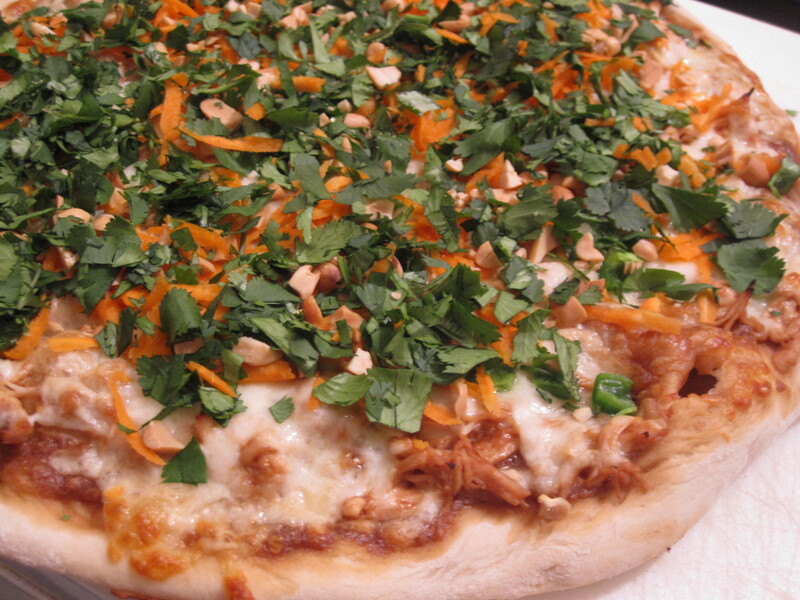 Once the chicken is shredded, add some of the peanut sauce to coat it. 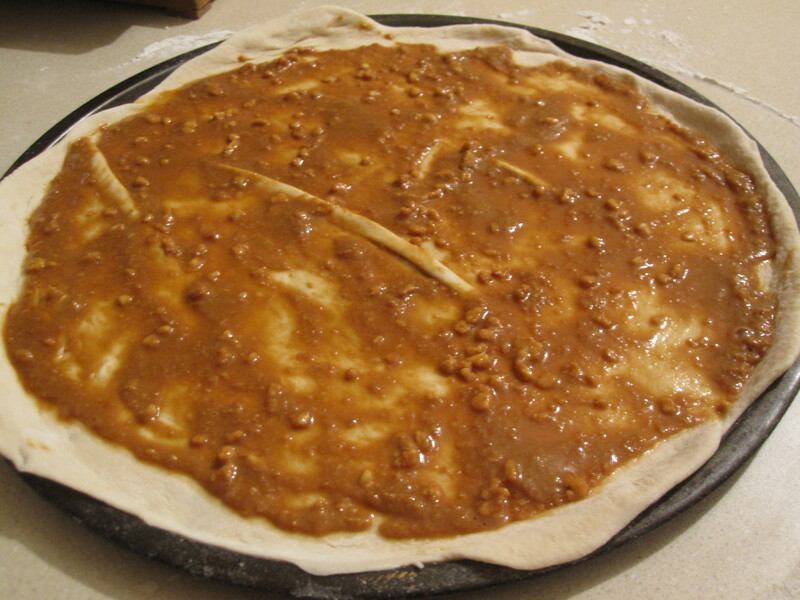 We also made the dough according to this recipe and it turned out great. 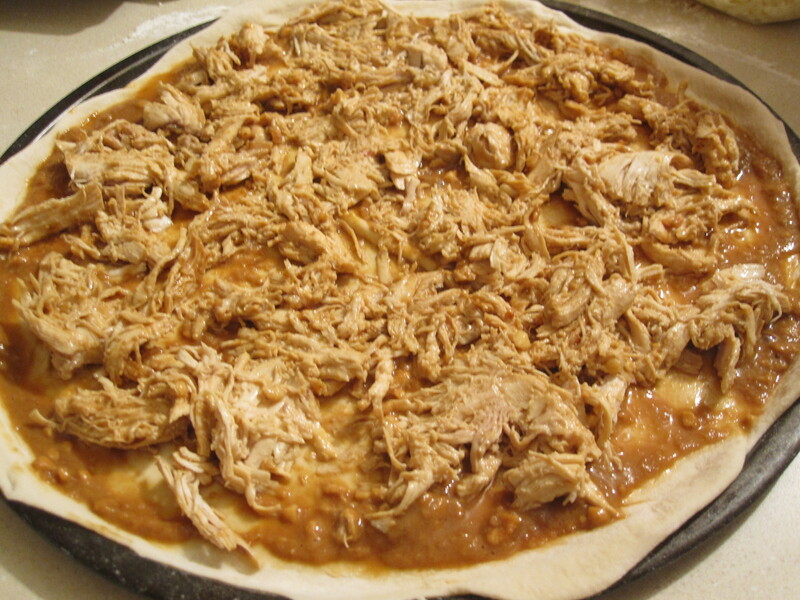 Spread a layer of sauce out onto the pizza dough. Next, add a layer of chicken. 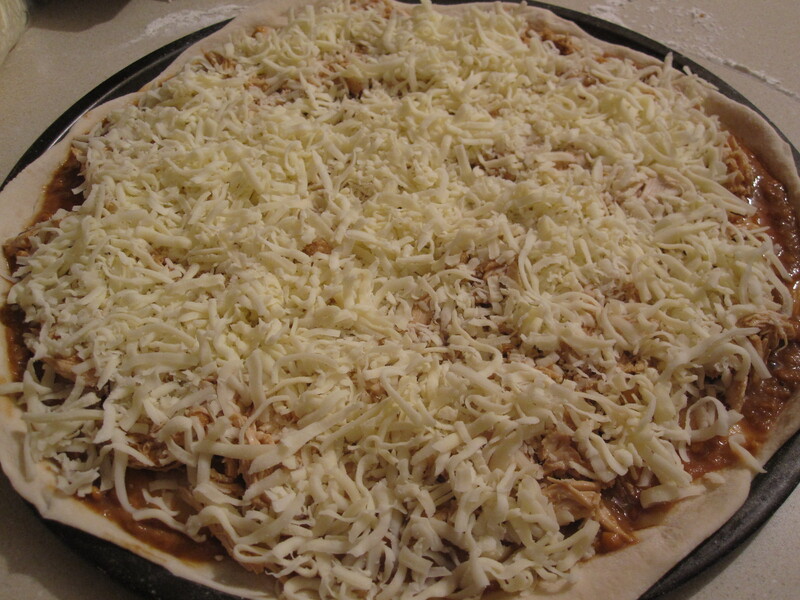 and then the cheese. 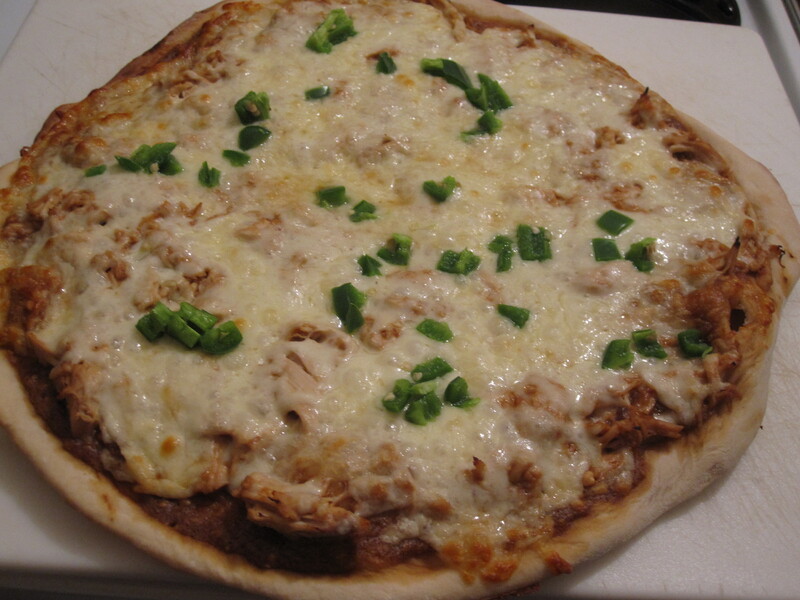 We used shredded Italian-blend from Penn-Mac. Any cheese will do. 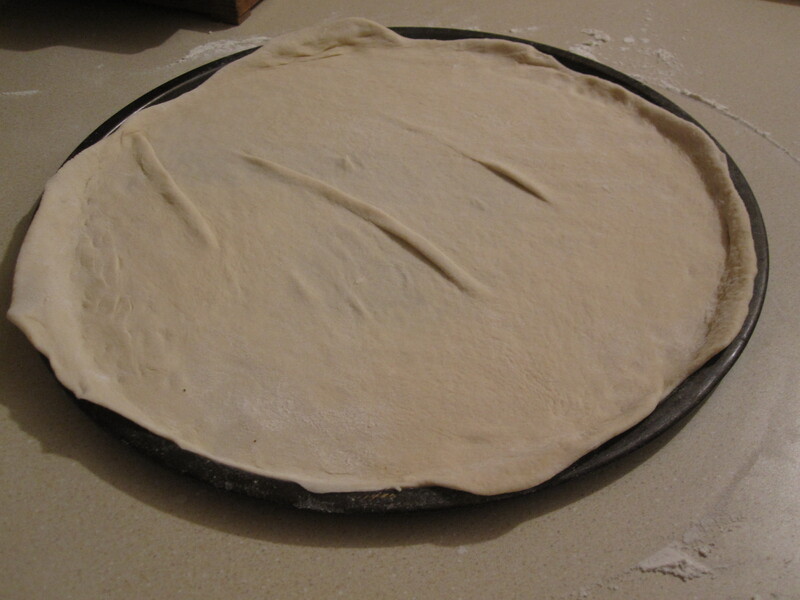 Bake at 425 degrees, for about 8-10 minutes. Keep an eye on it! 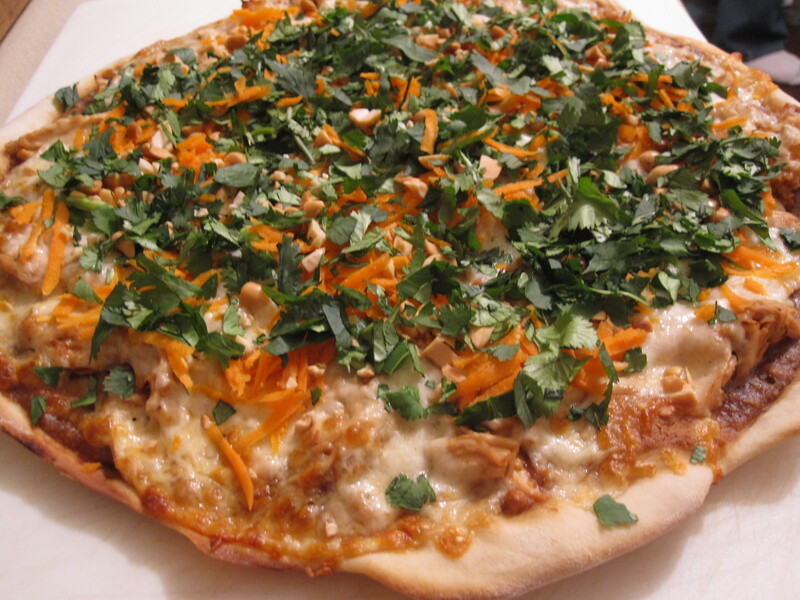 You are looking for a nice golden brown crust and for the cheese to be bubbling. 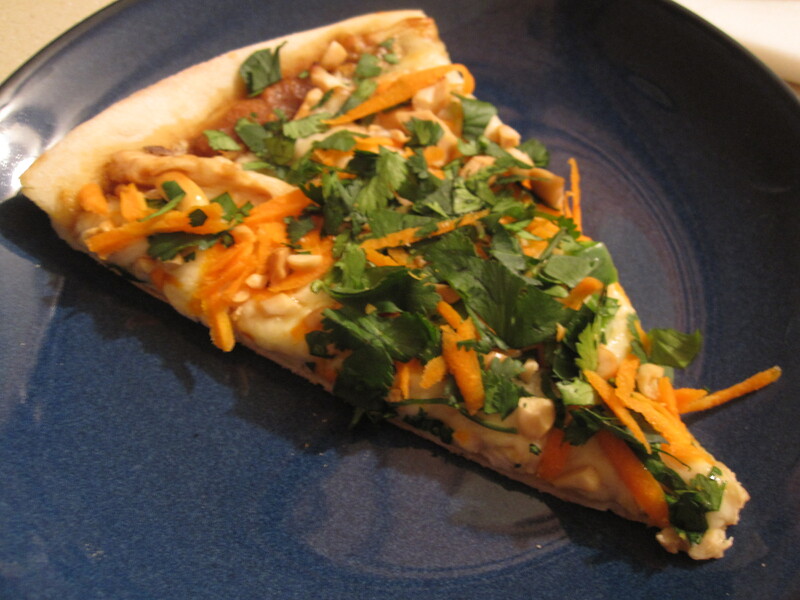 (Greg also threw on some jalapenos) Top the pizza with grated carrot, cilantro and chopped peanuts. Well as you can see, this turned out to be very good. The flavors are complex, yet nice and clean. There is a good textural variety as well. You will enjoy this one! 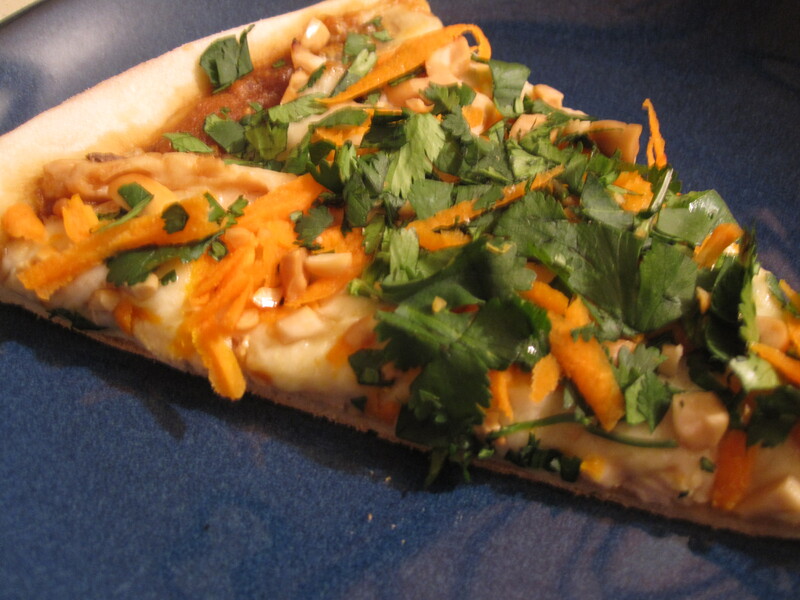 This entry was posted in Asian, Pizzas, Sauces and tagged california pizza kitchen, carrots, chicken, cilantro, homemade dough, honey, Peanut sauce, peanuts, recipe, thai chicken pizza, yeast. Bookmark the permalink.